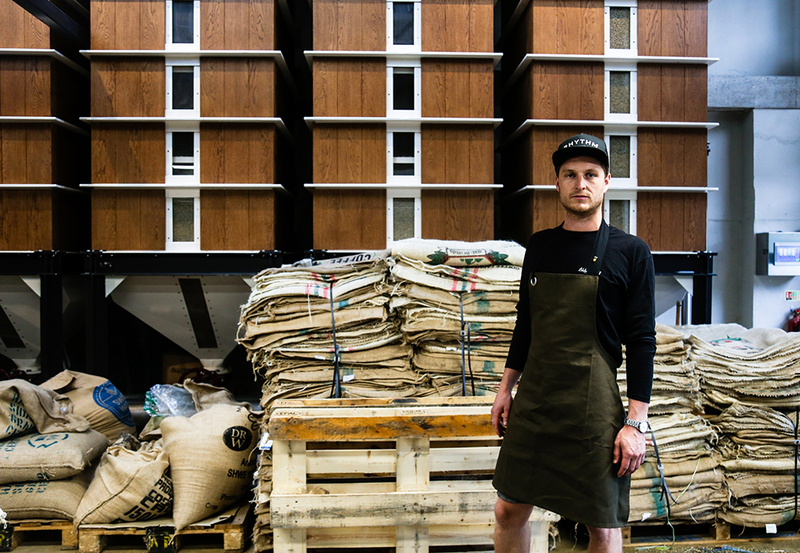 In 2015, coffee connoisseurs Allpress relocated their roastery from Redchurch Street in Shoreditch to Dalston. 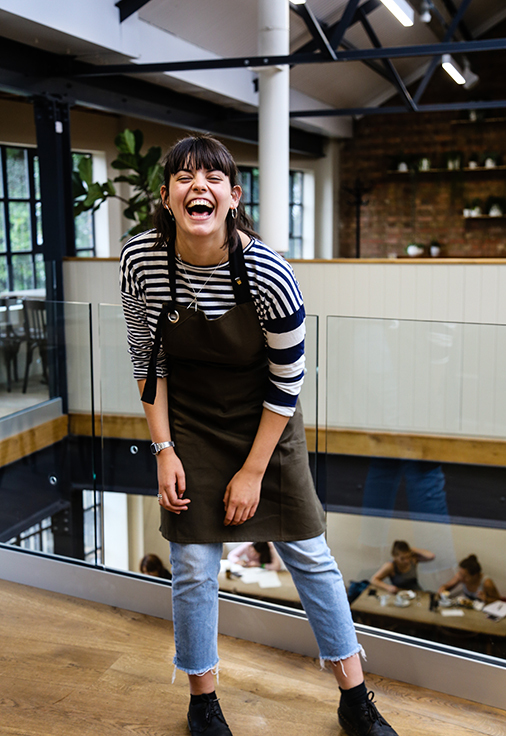 This new site features a bespoke hot air roaster they built themselves, a training room and a coffee machine repair workshop, alongside one of the capital’s most popular cafés. 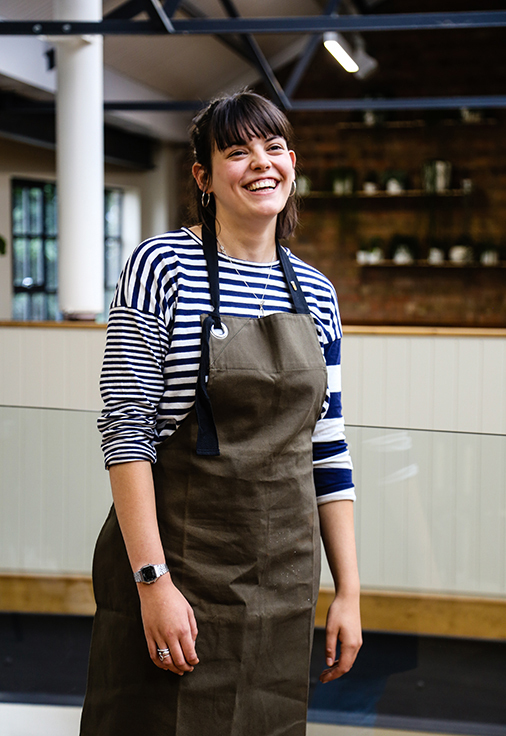 Allpress turned to Field Grey to design aprons; not just for Dalston, but for their gregarious, global team of baristas. 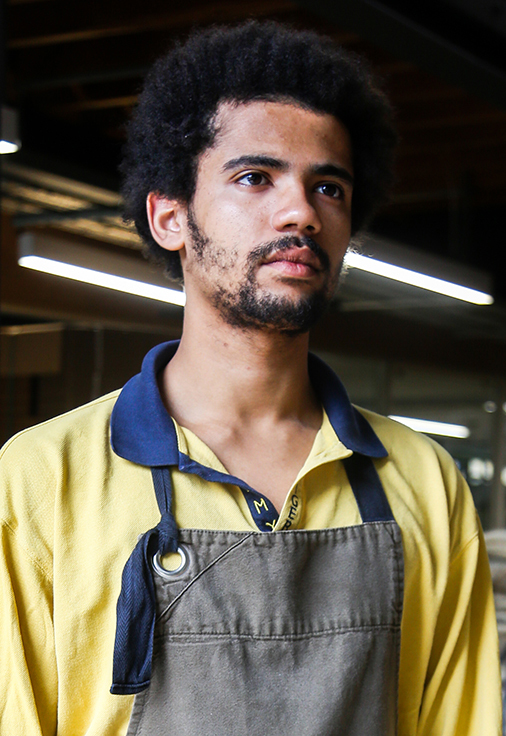 Approach / We proudly produced the aprons for Allpress Roasteries worldwide. Sites include Tokyo, Sydney, London and Auckland. 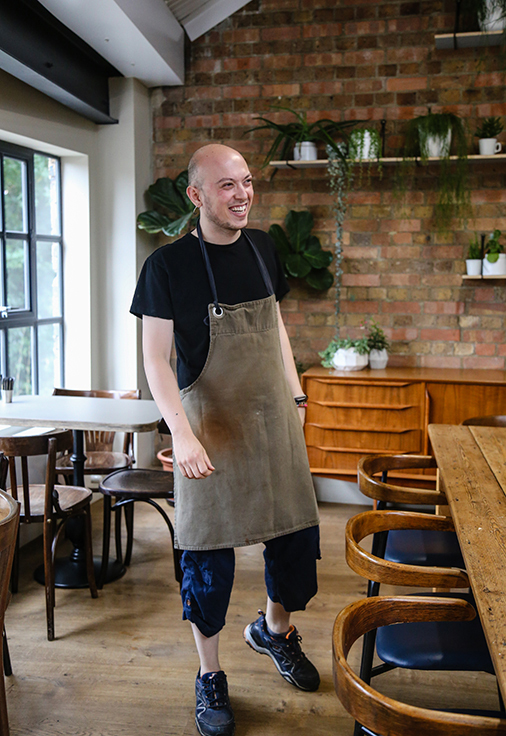 Owner Tony Papas was passionate about using a local company for a bespoke uniform solution: the first Field Grey studio was situated opposite the first Allpress site in Shoreditch! 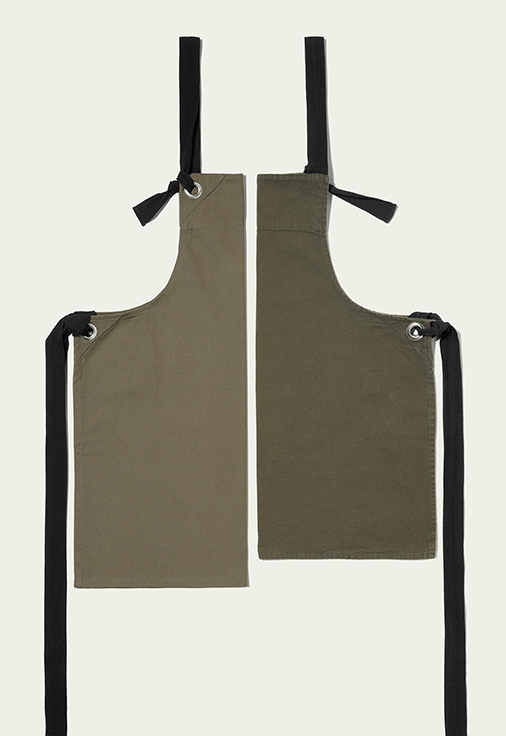 We produced a bib apron in our olive duck cotton with large silver eyelets. The aprons are left ‘shakers style on hooks at the end of the evening and ‘picked up’ by staff in the morning, making them a feature of the vast venue. 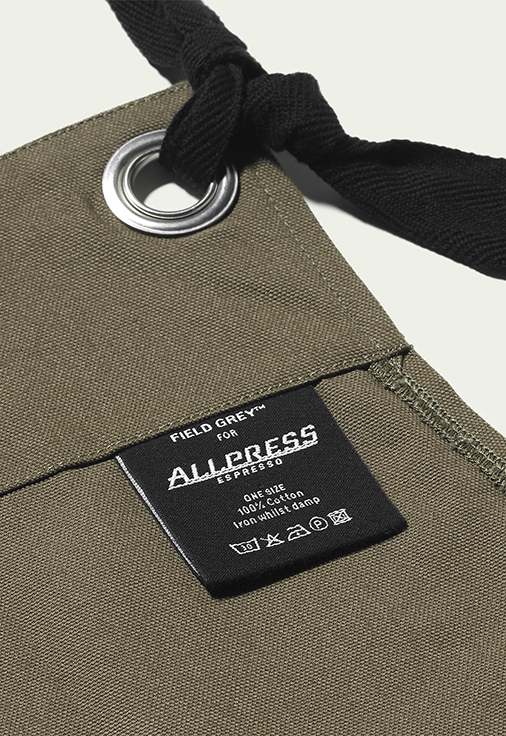 The aprons are now a global phenomena and to celebrate we produced a special care label unique to Allpress. Allpress / Allpress Espresso began as a single coffee cart in Auckland in 1989. 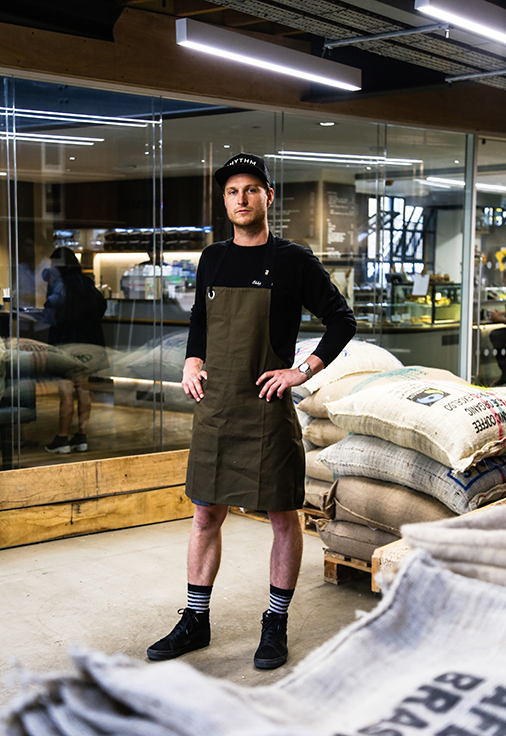 An obsession with flavour quickly led to roasting their own unique coffee. The rest is history, supplying cafés and restaurants across the globe and with venues from Dunedin to London and Melbourne to Tokyo. The founding qualities of Allpress Espresso remain the same wherever you are.